A basic tool for your first aid kit. 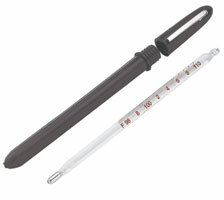 This is a heavy-duty ring top Veterinary Thermometer. It comes with a plastic carrying case and has a dual scale with °F/°C.